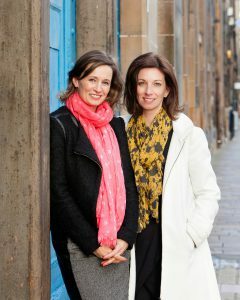 Meet your storage experts; Jane Ritchie and Sarah Currie. We are a fifth generation family run business that has been taking care of other people’s property since 1903, so you can be sure we will be around for as long as you need us. Our proposition is very simple, we understand our customers and your need for a self-storage company that is available when you want it, is helpful, flexible and easy to use. We know there are enough demands in life without worrying about where to store things or get rid of guddle, so we work hard to ensure that our service is seamless to allow you to get on with your business. If you’re looking to store marketing material or stock, are required to retain archive documents or just need some space while expanding, relocating or decorating we are here for you. Visit us to assess what size of unit you require, our knowledgeable and friendly staff will be pleased to show you around and advise you on the best, most cost-effective solution for your requirement. Our building in James Watt Street Glasgow was, originally, a Tobacco Warehouse of some note in the city of the name The Glasgow Tobacco Warehouse Co. Ltd. It is an icon dating back to the days when the Glasgow was a thriving international port. Successive generations of Blacks have conducted the Company’s affairs and continue to do so. The fourth generation of Blacks noticed there was a boom in the US for mini storage and so The Glasgow Tobacco Warehouse Co. Ltd became GTW Storage Services Limited. The building has been given a new lease of life and is fitted out with a wide variety of sizes of units. Having been a tobacco warehouse, it is solid and secure. With the Glasgow financial district now established around the warehouse, we are ideally situated to provide document storage and retrieval services along with our other commercial and domestic storage offerings to the businesses, residents and students in the city.